The World Jade Symposium Association continues to encourage a stronger carving community. Through this endeavour, our wish this BC Jade Day, is to say thank you to those all those artists and new friends we have made along the way. So, in celebration of British Columbia’s special resource, Jade, and the achievements of many folks around the world, please enjoy the beautiful short film called, Circle of Life. Traveling around the world, this 30 minute film offers real insight into the BC jade mining scene and the artists around the world who carve jade. Shot and produced by Andrew Matheson. In the past, during his university years, Andrew also spent quite a few summers in the BC jade mines working as a sawyer all the way to mine manager. So returning to the mines after 15 years and really be able to tell the story through his video graphic art was a dream come true. Andrew’s creativity combined with the understanding of this intensely deep subject is clearly shown in his enthralling production. 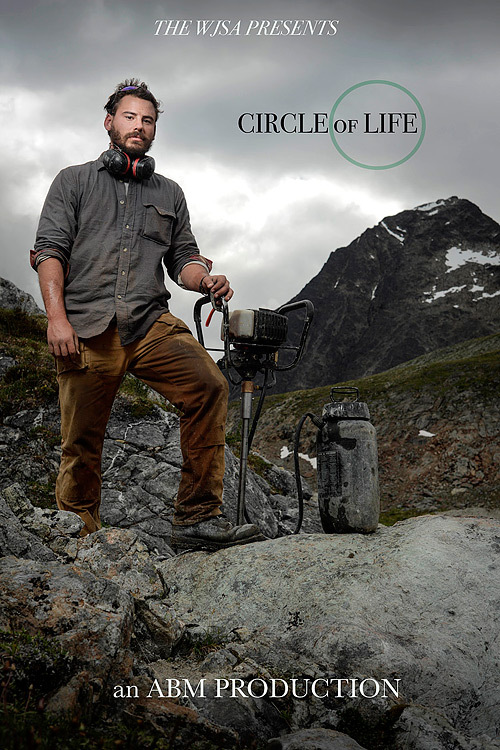 In addition to the movie being accepted into international film festivals, we would also like to congratulate Andrew on the dramatic cover photo for Circle of Life, a Driller portrait, which was accepted into the American Society Of Media Photographers Annual Photo Book. Currently in print. Circle Of Life from andrew matheson on Vimeo.